With Canadian marijuana legalization on July 1, 2018 rapidly approaching, and a seemingly limitless international market, Canopy Growth Corporation is at the forefront of an exciting newly legal industry. “The scale of the market is going to accelerate,” says Canopy Growth CEO Bruce Linton. 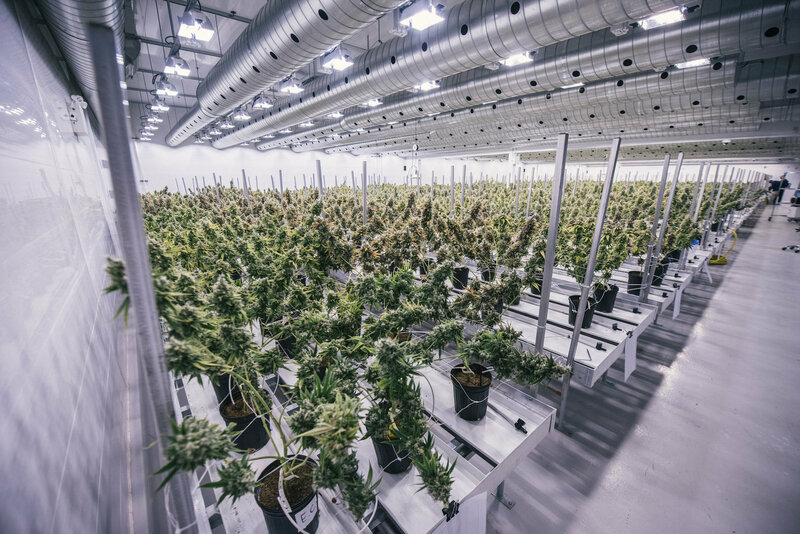 The company, originally known as Tweed Marijuana Inc., has the largest client-base, the most production space, and a bevy of international partners. It hopes to stay on top as the federal government rolls out recreational marijuana use. Linton says that the company expects to supply cannabis products across the country. “Because we’re Ontario based and the largest provider, generally most provinces would expect are going to want to have a certainty of supply, and then incremental supply from small players,” says Linton. 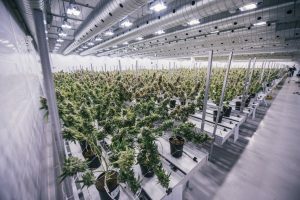 According to its most recent quarterly report, Canopy’s second-quarter revenue has more than doubled since last year for the quarter ended September 20, 2016. At $17.6 million, 11 per cent higher than revenue in the first quarter, the cannabis company should be riding high. However, the company formerly known as Tweed is still losing money. Despite its revenue growth, Canopy recorded a $1.1 million loss for the quarter. Canopy is at the forefront of the Canadian cannabis industry. It has the largest client-base, the most production space, and a bevy of international partners. The company’s loss can be attributed to constant expansion. As the recreational market draws closer, Canopy wants to continue its role as industry leader. Canopy Growth already has a solid grip on the medical market, and the patient-based sales that entail. Within this market, potential for the sale of dried marijuana, meant for smoking, is abound. Oils are another big seller. To succeed in the recreational market requires a little more marketing, and a wider variety of products. Those who would want to partake in marijuana consumption do not necessarily have medical needs to attend to. There is a demand for edible and drinkable cannabis products. Sales and marketing costs grew to $7.6 million from $2.8 million. General and administrative costs more than doubled to $8.4 million from $4.0 million. Management’s share based compensation also grew to $5.9 million from $960,000 last year. As a sign of how much the company has grown in the past year, overall operating expenses of $30.0 million compared $9.7 million in last year’s second quarter. This spending allows the company to produce and sell more marijuana. More than 2,020 kilograms were sold in the second quarter alone. Money is being spent on new growing space, partnerships, and acquisitions as well. This is to ensure readiness for the future of the marijuana industry. 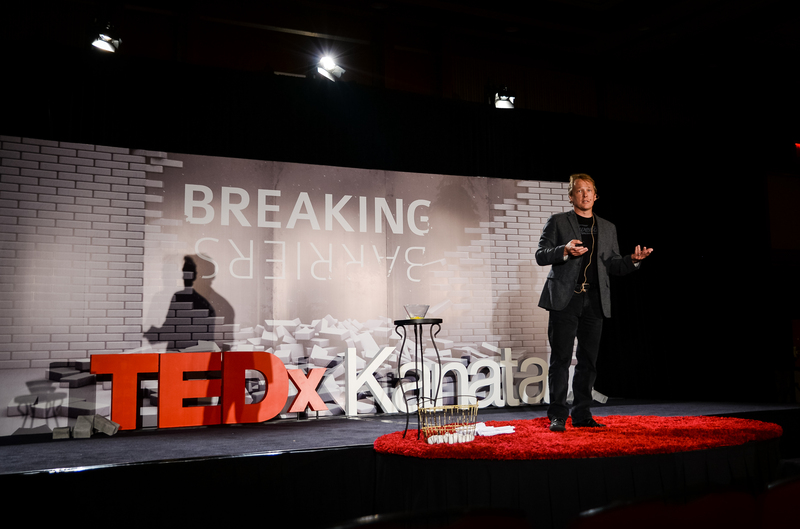 “I think we need to constantly juggle how we are being well-positioned for medical access, and how we are also succeeding internationally, and with different consumption models,” says Linton. 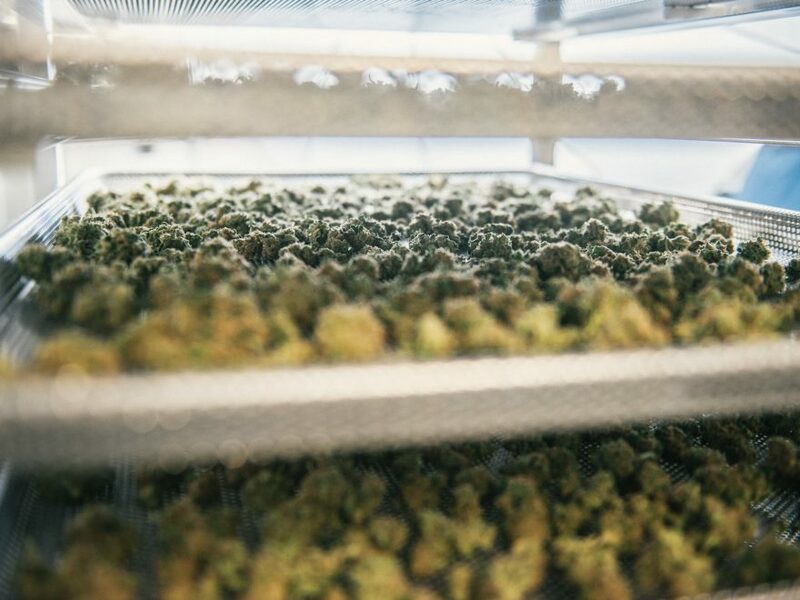 In the past year, Canopy has made big business moves. From acquiring larger growing spaces to buying out smaller cannabis companies in choice locations, it has shown a desire to lead the pack. 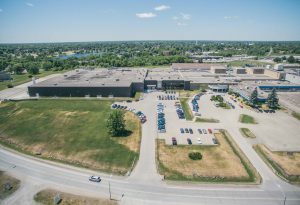 It has increased its growing space to more than one million square feet, with greenhouse and laboratory areas in Niagara Falls, Saskatchewan, and at its headquarters in Smiths Falls, Ont. Especially interesting is Constellation Brands’ decision to acquire a 9.9 per cent minority stake in Canopy. The American alcoholic beverage giant closed its investment of $245 million on November 2. This opens the doors to potential for cannabis beverages, and use of Constellation’s many resources. ““Canopy Growth has a seasoned leadership team that understands the legal, regulatory and economic landscape for an emerging market that is predicted to become a significant consumer category in the future,” said Constellation Brands President and CEO Rob Sands in a press release on the company’s website. Canopy Growth’s share price has shot up since the Constellation investment, hitting a record high of $20.38 per share in mid-November. Bruce Linton, Canopy Growth’s CEO, says the company needs to stay on top of the many possibilities available in the marijuana industry. Domestic and international sales have to be carefully dealt with, and the company wants to stay ahead of the curve in providing different consumption methods for marijuana-related products. “You got to have a tooth connection to every one of those gears,” says Linton. He doesn’t see any other companies as competition. Only the black market can cause Canopy trouble, Linton believes. With a majority of marijuana in Canada coming from the black market, he thinks that people who are trying to avoid illicit purchases will flock to Canopy. In spite of this, other cannabis companies are gearing up to be contenders in this budding market. Aurora Cannabis Inc., headquartered in Vancouver, is currently attempting a takeover of Saskatoon-based CanniMed Therapeutics Inc. The bid has gone hostile, and the results of this potential merger will influence the overall market. As the industry grows, many smaller cannabis producers can expect to be bought out by bigger players. Canopy has already bought out companies such as Bedrocan, Mettrum, and rTrees. The infrastructure for a booming North American marijuana industry is set, and growing every day. With Canada-wide legalization on the horizon, this seems like a good time to be a marijuana company. However, marijuana is still illegal in many areas of the United States. Only some states allow recreational use, which could make exporting cannabis products a difficult task. Small craft growers will be supported by the Canadian government, allowing for entrepreneurs to have access to the rush as well. Craft marijuana refers to small-to-medium scale production by in-house growers. This would include producers with somewhere between 10-15 indoor lights for growth. The marijuana industry looks nothing like it did five years ago, or even last year. Companies are rising in value and producing more than ever, but won’t be able to sell for recreational use until legislation is passed.